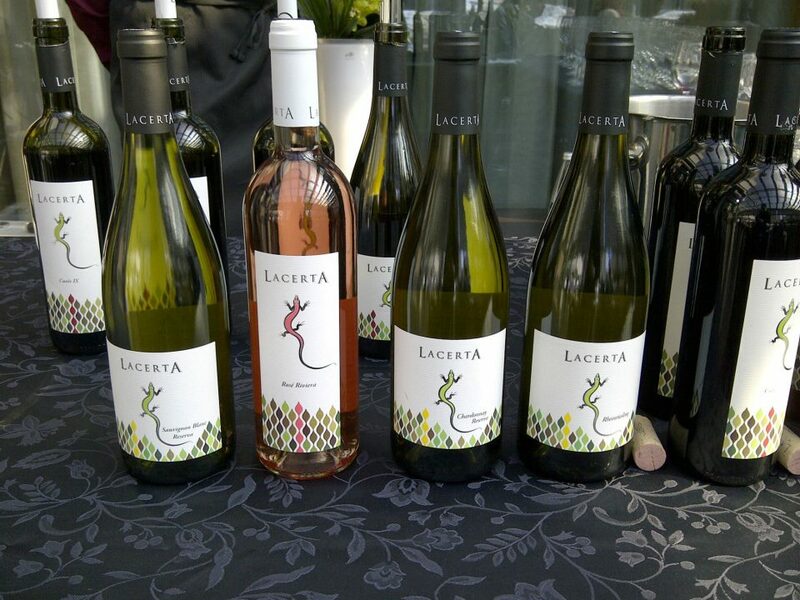 Lacerta launched their new wines today at the Radisson Blu hotel in Bucharest. Mr Walter Friedl introduced the new wines and also made a brief review of last year’s activity and the forecast for this year. 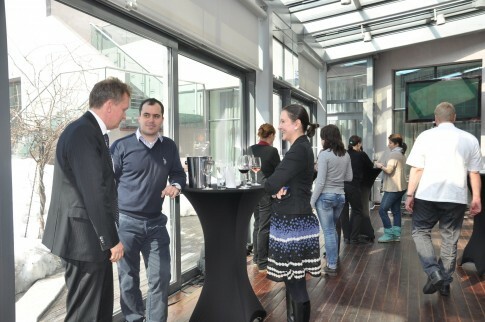 Overall the winery has 82 ha and they increased production from 50.000 to 150.000 bottles, estimating EUR 1 Million revenues for 2012. 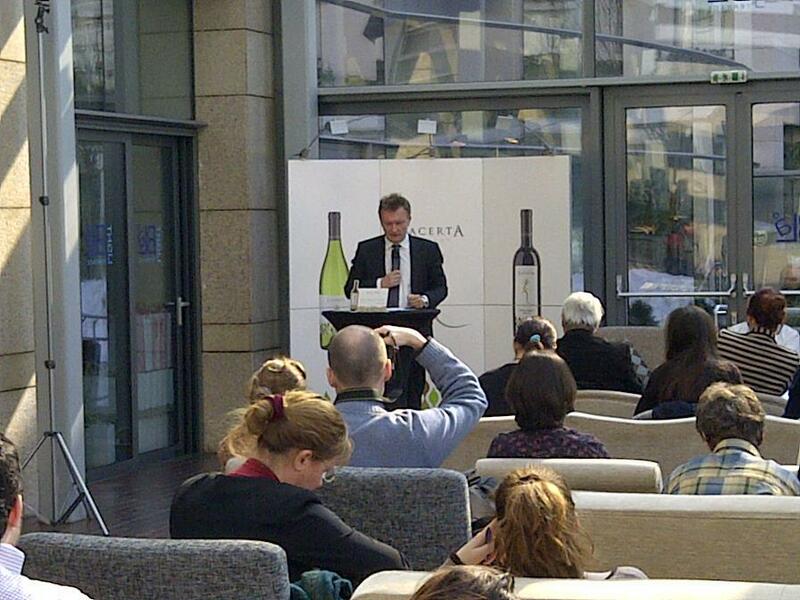 They will also start the export of their wines this year. – 2011 Rheinriesling: better balance, not the fat wine it was in 2010. Alcohol above 14.5%. 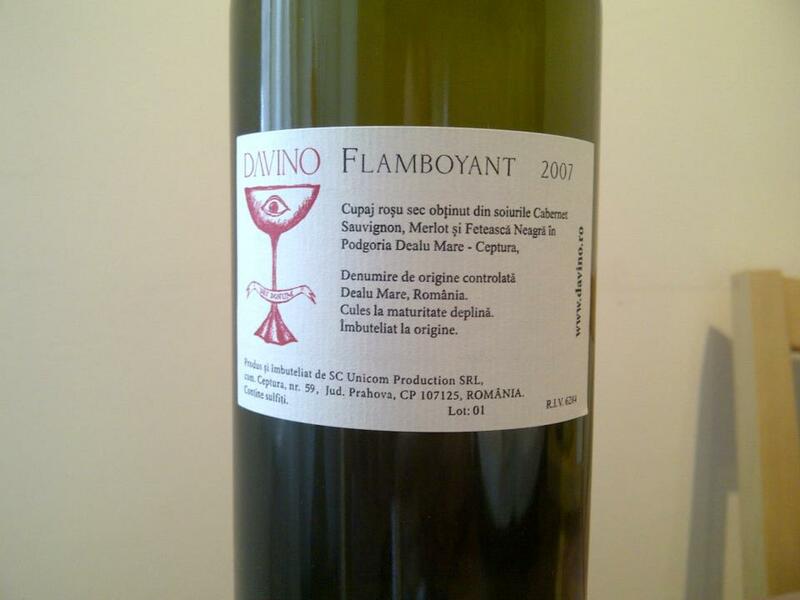 – 2011 Rose Riviera shows delicate red fruit aromas and can be easily paired with Mediterranean food. – 2010 Cuvee IX: it no longer contains Shiraz in the blend. The current blend is Cabernet Sauv, Merlot, Feteasca Neagra and Blaufränkisch. The most powerful wine of the reds, already developed on the nose, it shows sweet aromas of red fruits and plum while flavors stay in the mouth long after you sip. – 2010 Pinot Noir aged for 12 months in oak. 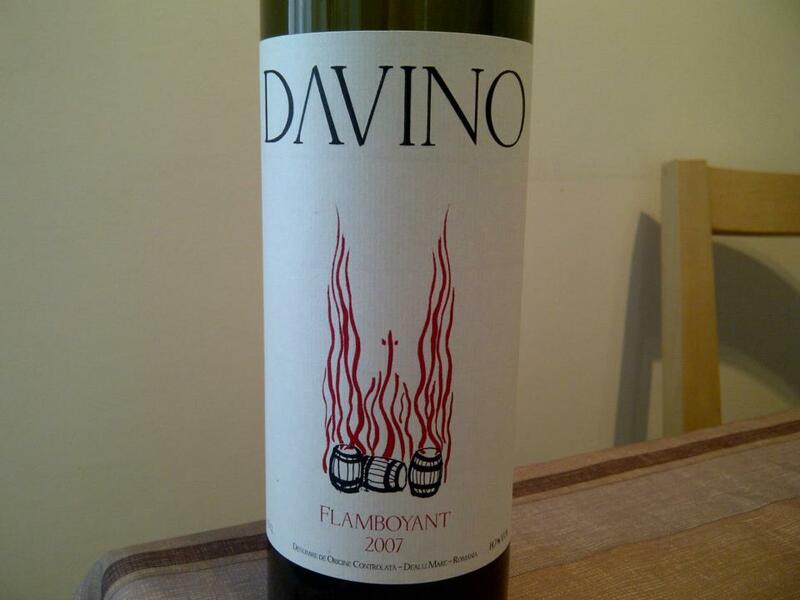 A very young wine, elegant, mouth-filling, with intense red fruit aromas and long aftertaste. This can evolve really well in time. – 2010 Feteasca Neagra aged for 14 months in oak, already developed on the nose, elegant, delicate, balanced, lively and really nice. Everything seems to be well blended even at this stage. Another very interesting Feteasca Neagra I have lately. Again, flavors stay in the mouth long after you take a sip. – 2010 Blaufränkisch aged as well for 12 months in oak. A developing sweet nose. I believe that none of the wines has less than 13.8% alcohol, however they seem to have enough fruit and structure to blend well the alcohol. I particularly enjoyed the Sauvignon Blanc Reserva as it manages to show both freshness and complexity, and the Feteasca Neagra which I believe it has a great drink-ability and intense aftertaste. A few months of bottle age can only make all these wines taste better. Yesterday I was invited by a group of friends to meet for a cooking session at somebody’s home. 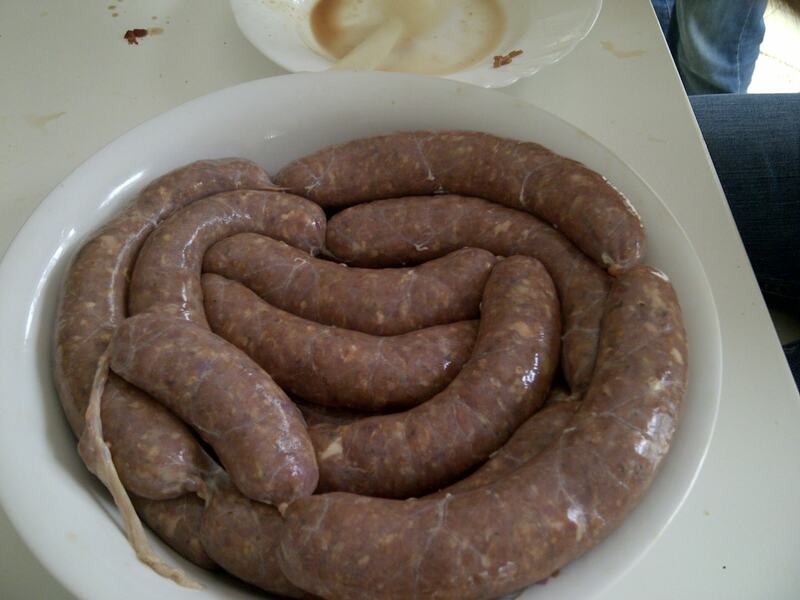 As one of the guys is a passionate hunter and as he recently attended a hunting session, the plan was to prepare fresh sausages made of wild boar, wild rabbit and domestic pig meat. It did not take a lot of time to mince the meat, put all the necessary spices and in no time the sausages were ready to be fried. I have to give full credit for preparing these delicious sausages to Dani and Vlad. Not too fat as there was a high proportion of game used, yet not too dry. Just the way we like it. 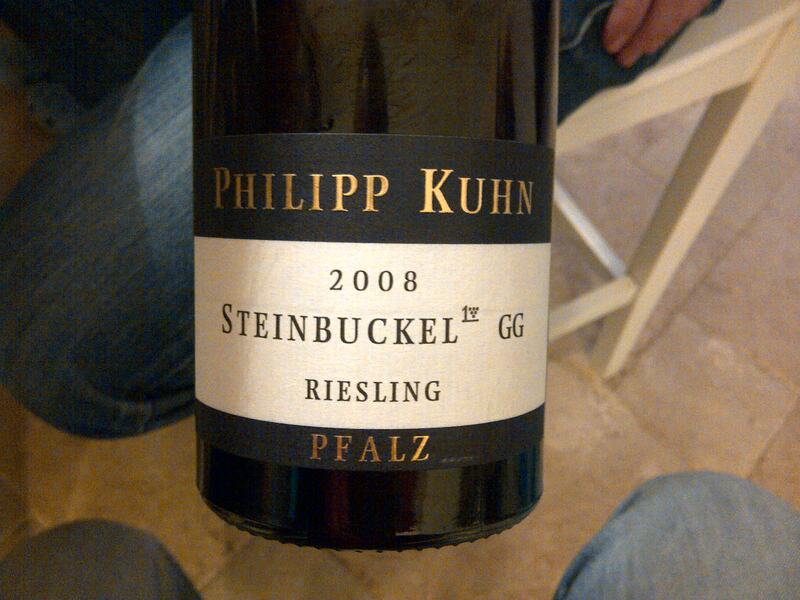 We moved on to the next white, this time a Grosses Gewachs Riesling from Pfalz. The typical high acidity of the Riesling was welcoming. As the sausages were fried and ready to be served, we made our move to the first red of the line-up. We started with a Saint Emilion from 1998, a great vintage for the Right Bank. We moved next to another older vintage, yet younger than the Bordeaux, but this time from the Southern Rhone. 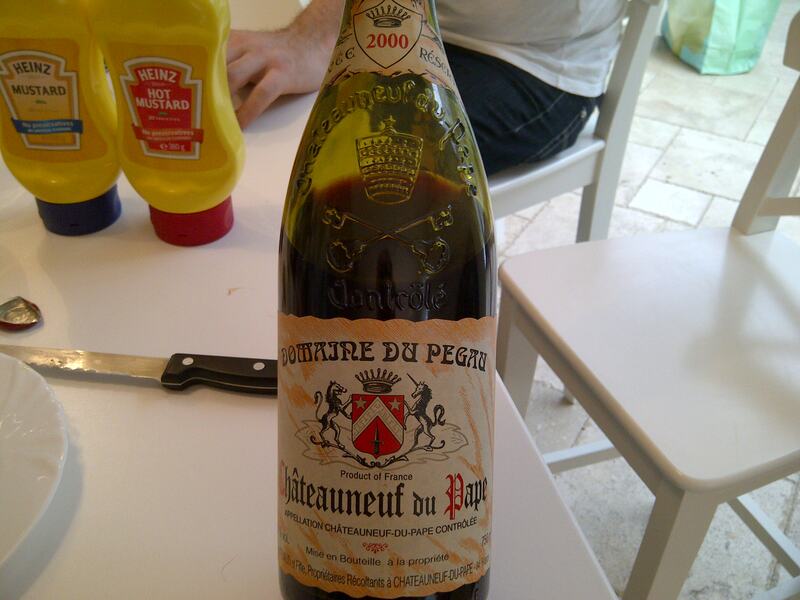 2000 was no blockbuster vintage in Chateuneuf du pape, but produced classic wines, characterized by mineral and fresh palates, with good aging capabilities. We aimed to stay on the same line of freshness and easy drink-ability and we moved to a classic, old style Rioja. 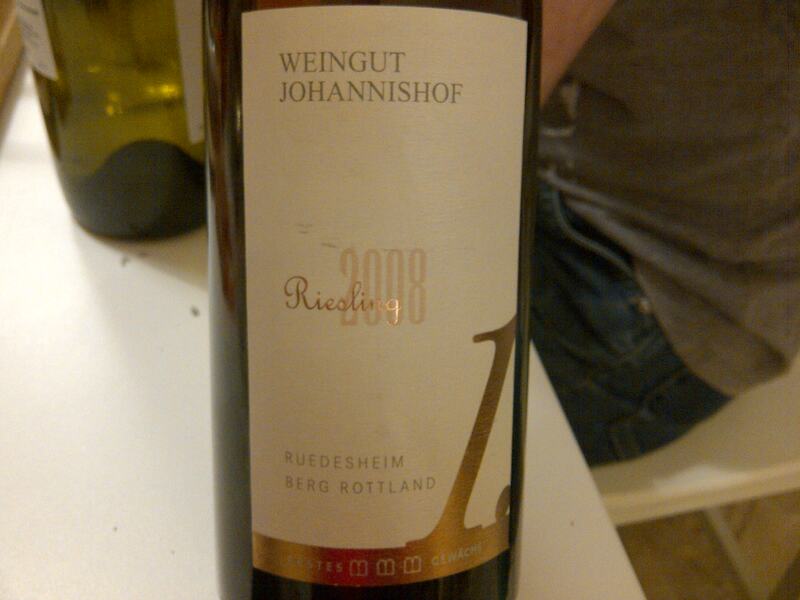 As we were approaching the end of the evening, we shifted again to a white German Riesling. It is fair to say that by the time the Johannishof was served, my palate and my senses were kind of lowering their accuracy, so I might have rated lower the wine. 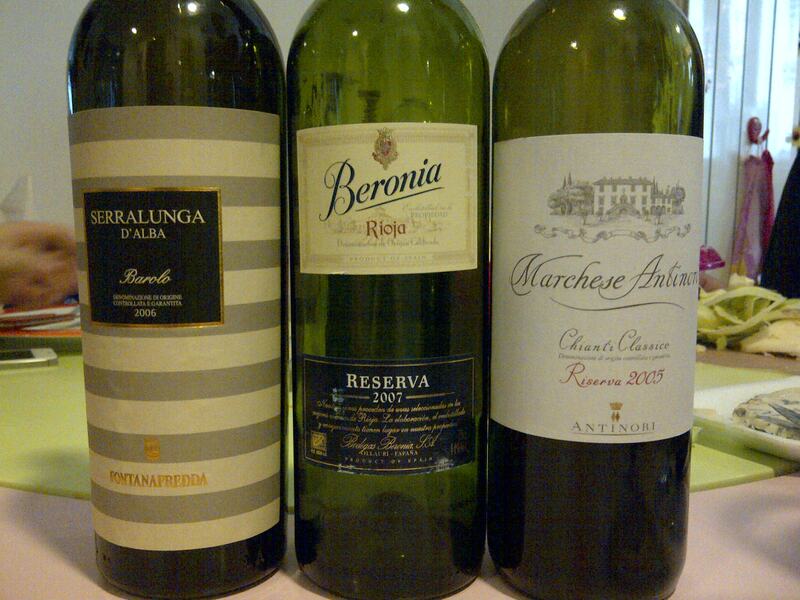 This was an extremely enjoyable SUN afternoon spent with friends, with hearty food and epic wines. My preferences were: 1. 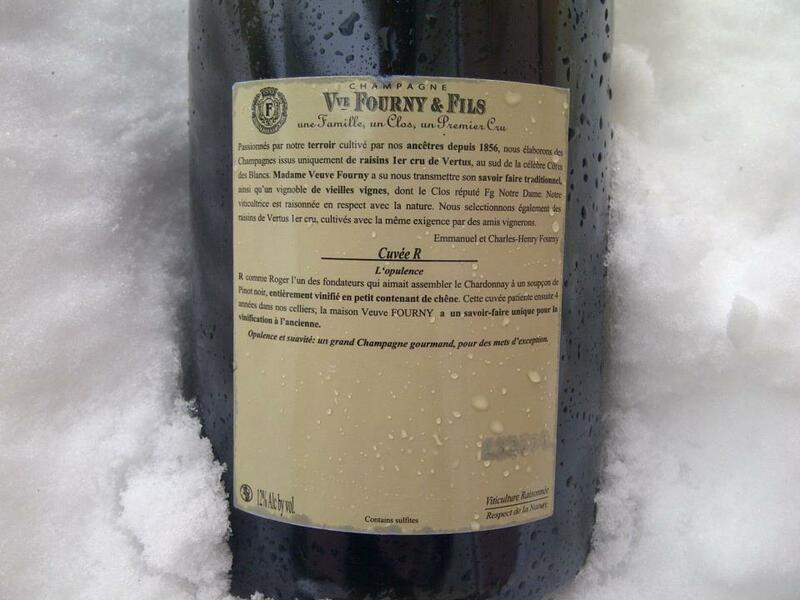 2000 Pegau Cuvee Reservee, 2. 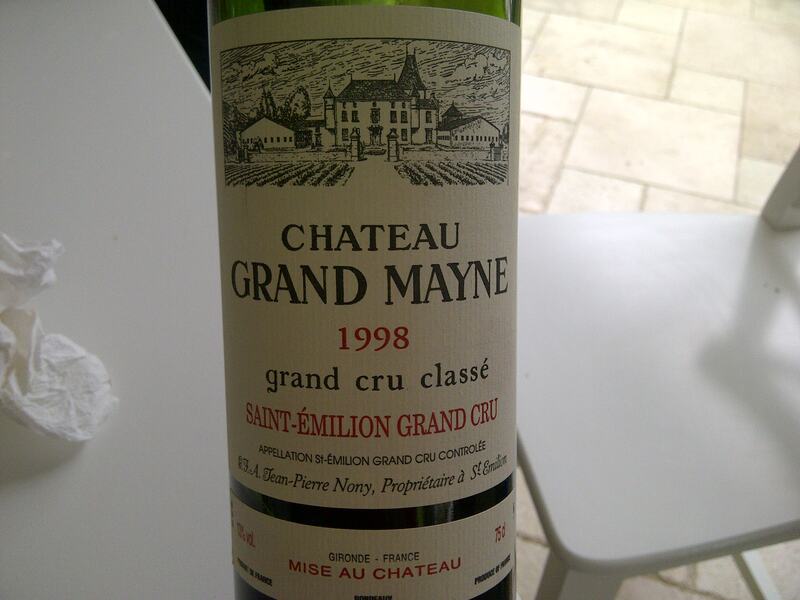 1998 Chateau Grand Mayne St-Emilion Grand Cru, 3. 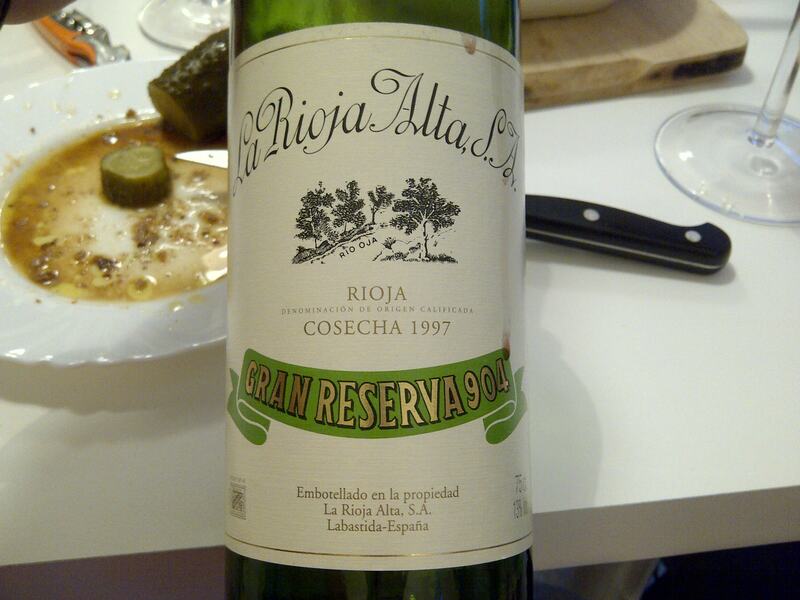 1997 La Rioja Alta Gran Reserva 904, 4. 2008 Johannishof Ruedesheim Berg Rottland Erstes Gewachs, 5. 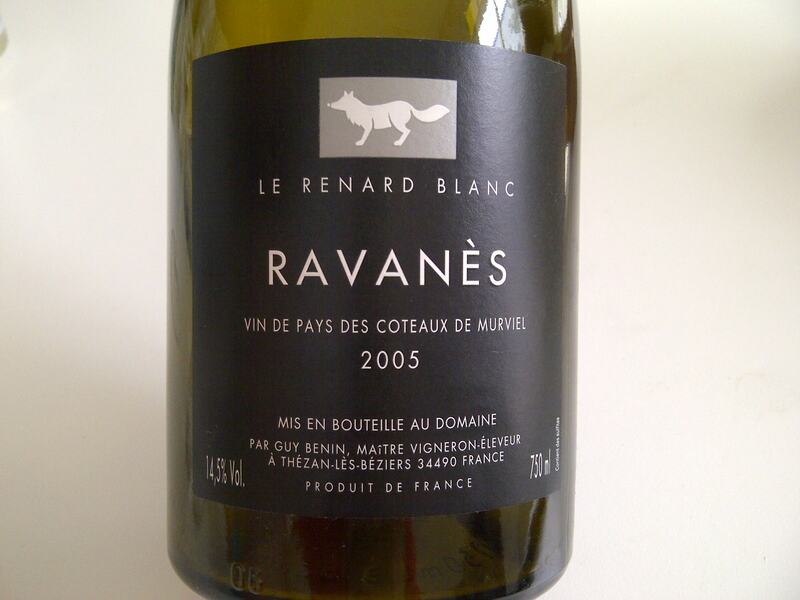 2005 Ravanes Le Renard Blanc and 2008 Kuhn Steinbuckel GG on the same level. These are some of the wines I had a few weeks ago, but somehow did not manage to put my tasting notes on the blog earlier. 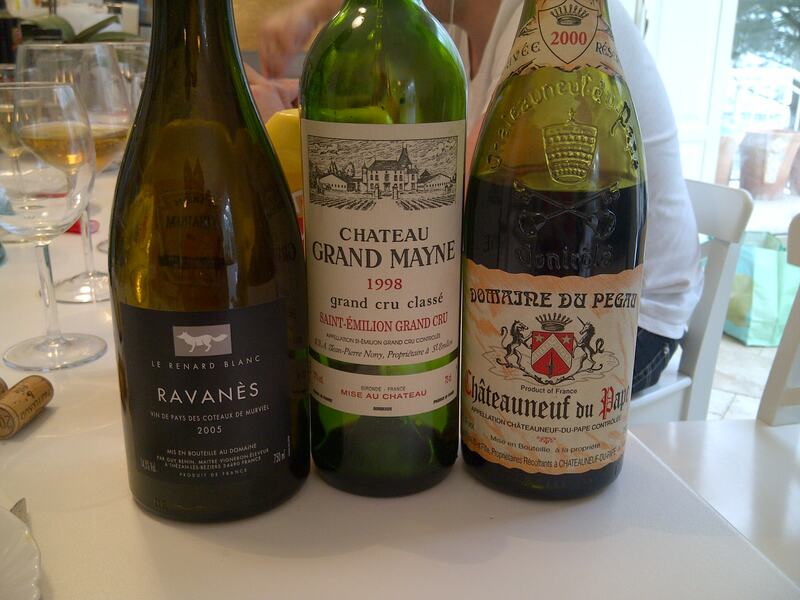 I had dinner on SAT with a good friend, a big fan of old wines as well. We spoke about our meeting a few days in advance and knowing what the wines and the vintages will be, my expectations grew by the hour. I was eager to get to my friend’s house as early as possible to uncork the wines and prepare them for drinking using a slow oxygenation in the bottle for a few hours. I arrived around 7 pm, a bit later than initial planned, uncorked the wines and while we prepared the meal, left the wines to slowly breathe and open up. 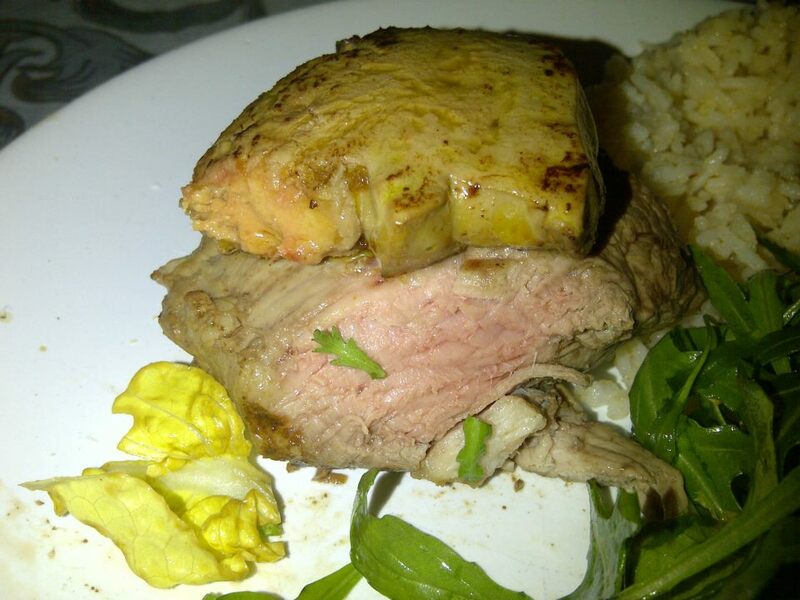 The meal was not a Pinot Noir classic dish, but it paired fairly well with the wines. We prepared foie-gras poele as my friend had an entire foie-gras ready to be fried, with medium rare veal steak, Basmati rice mixed with French butter with Piment d’Espelette (a variety of chili pepper that is cultivated in the French commune of Espelette, Pyrénées-Atlantiques) and a mix of green salads. Comfort food for still a cold day in Bucharest. 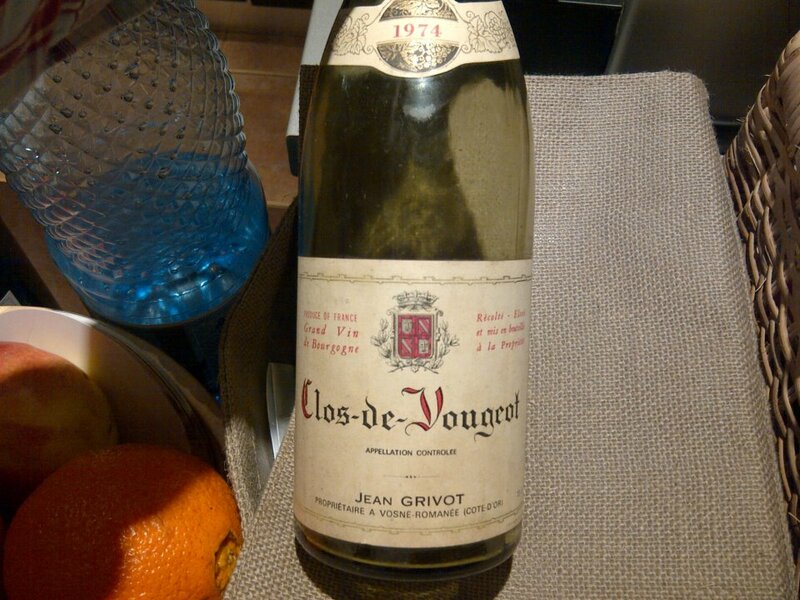 We had two Burgundies: a 1974 Clos de Vougeot and a 1996 Corton. 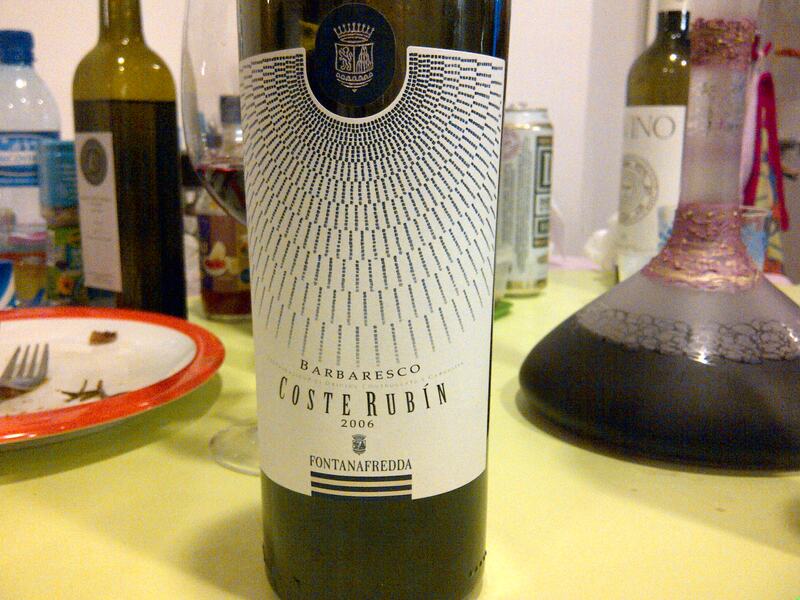 It was a bit of a challenge to uncork this wine. I cleaned very well the head of the bottle as there was plenty of dirt under the capsule, tried to use the corkscrew, but the cork was easily pushing down the bottle when I attempted to stick the corkscrew in the cork. As I was afraid the cork would go in the bottle, some different approach had to be taken. So the solution we found handy, was to use a regular screw to somehow mobilize the cork and then use the corkscrew. 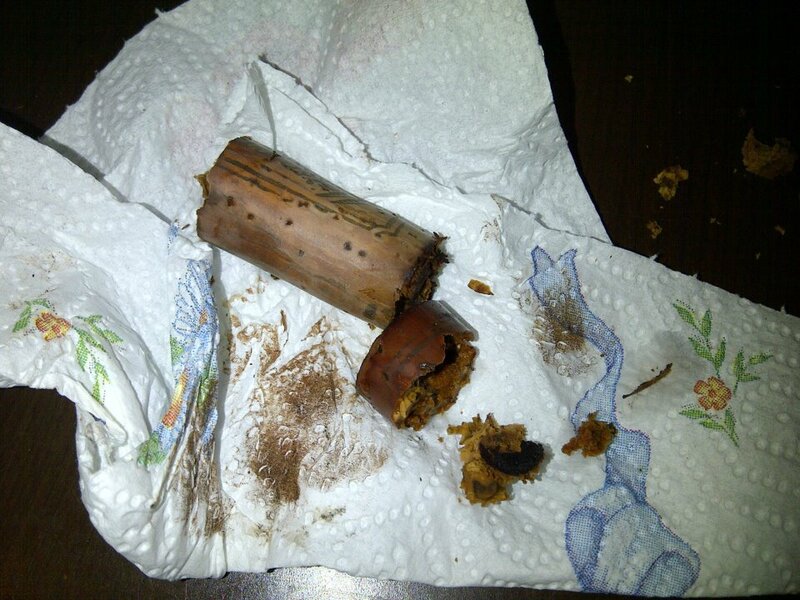 The solution was efficient and as much as the cork was completely soaked with wine and it actually broke in two, I managed to pull out all the remaining pieces without any drops in the bottle. A successful extraction that took about 15 min. This bottle had an absolute perfect fill level, a bit unbelievable I would dare to say. There was no sign of being corked either. 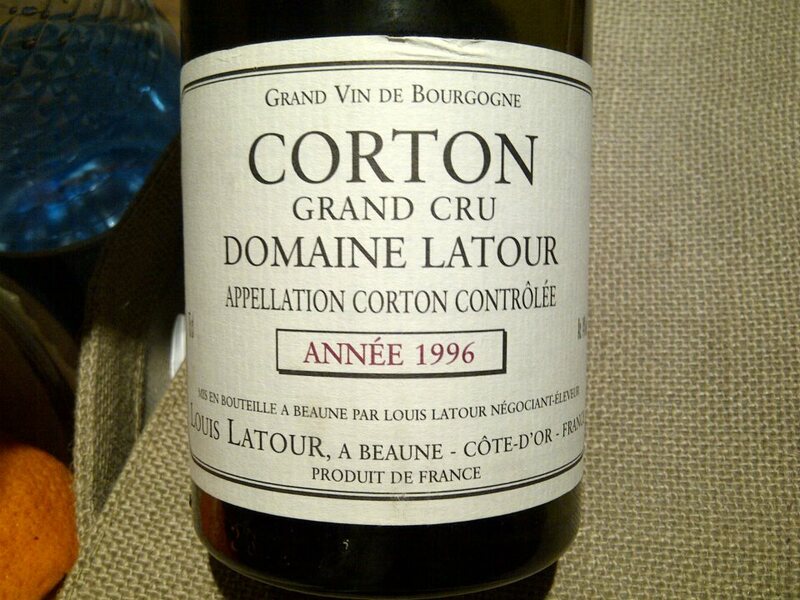 There was absolutely no problem uncorking the 1996 Corton. 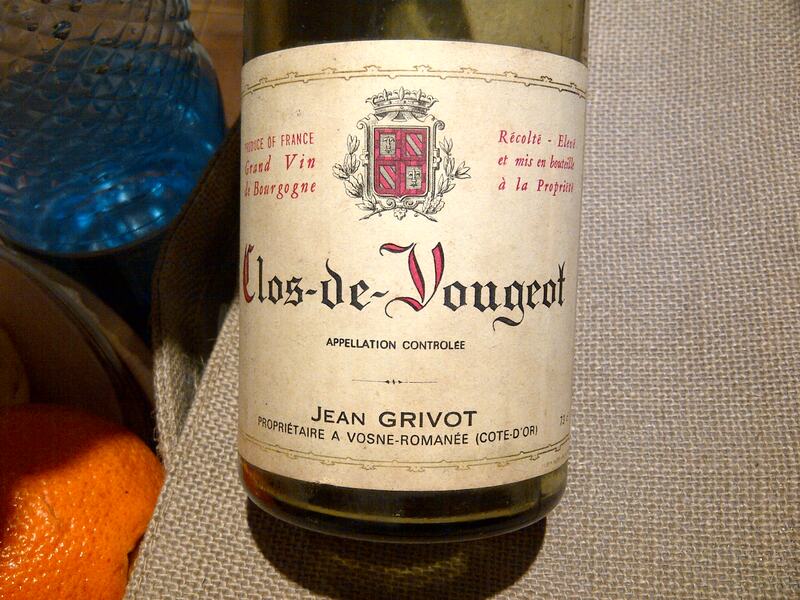 As much as the wines did not put an unforgettable show, it was a great evening spent with friends and we will always remember the trouble of how we opened the 1974 Clos de Vougeot. It’s all in the details. 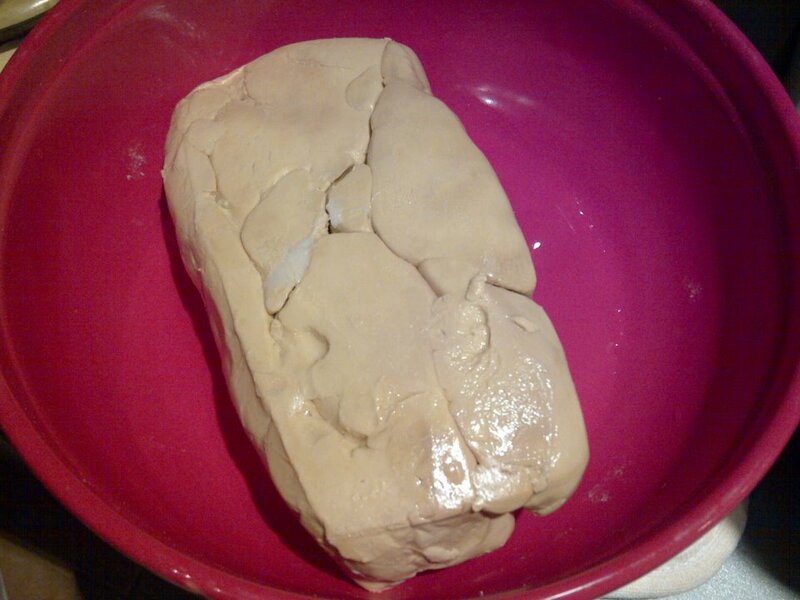 We finished the evening with a glass of 1998 Chateau de Laubade Armagnac to clean all the grease of the foie-gras poele. 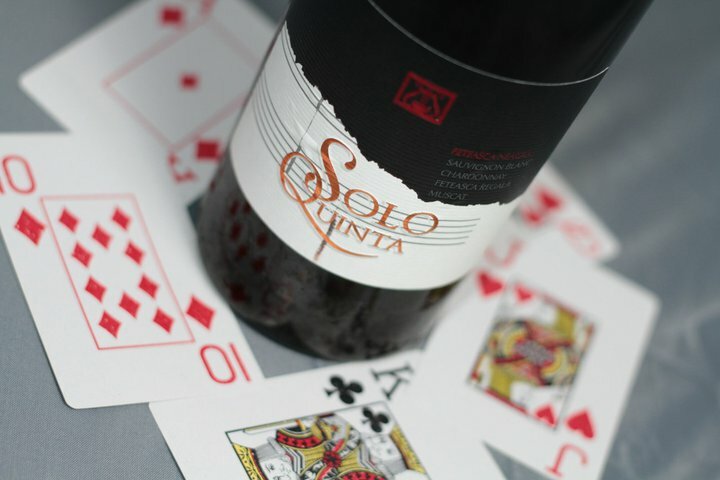 Solo Quinta is Recas winery’s flagship white wine and since its first edition it prove to be a blockbuster wine when it comes to sales, the stock being depleted many months before the new vintage is released. Usually a blend of four white grapes: Chardonnay, Muscat, Feteasca Regala and Sauvignon Blanc, blended with the juice of a fifth red grape that is vinified in white. The red grape varies every year. 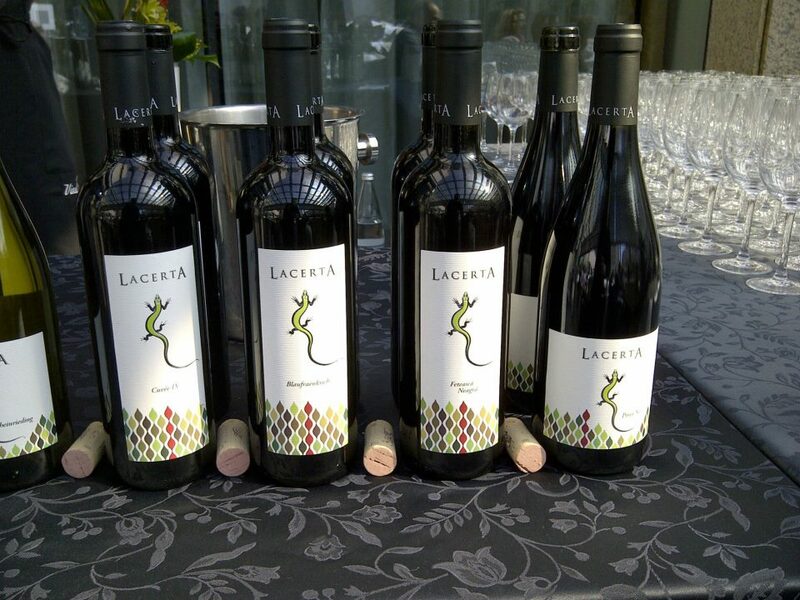 For the 2011 edition Recas chose the Syrah/Shiraz grape. Also the 2011 has a big portion of Chardonnay: as far as I understood almost 80% of the blend. Nor the final blend, nor the juice from the separate grape varieties see oak treatment. The aim is freshness and purity of the fruit. 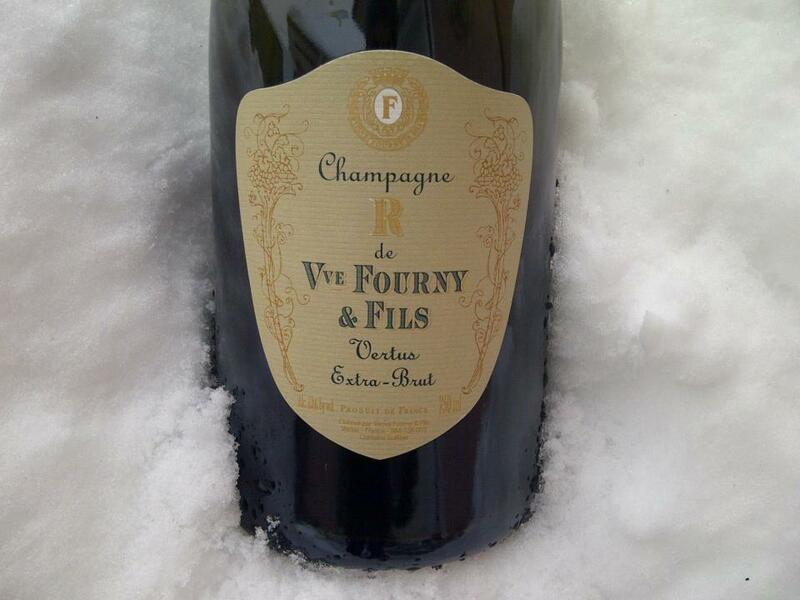 This is the second Champagne I have from Veuve Fourny and it is as impressive as the Rose I had. The Cuvee R is one of their two wines that see oak treatment. Mainly Chardonnay with topping of Pinot Noir, this wine is aged in oak barrels during the making process.